How Far is Annciya Padmavathi? Annciya Padmavathi is one of the popular residential developments in Chandapura, neighborhood of Bangalore. It is among the completed projects of its Builder. It has lavish yet thoughtfully designed residences. Annciya Estates is a vision driven organization offering value at the core of its business. with over 40+ years, Annciya Estates had its humble beginnings from plantations to Real Estate Development under the visionary Leadership of Mr. Jose Augustine with a mission to redefine the experience of buying sites for all. The organization forayed into the real estate segment in the year 2006 with a couple of projects which was an instant hit. Highly motivated with the response and better equipped to handle bigger challenges, it has planned its growth from strength to strength. Annciya Estates grew with its sheer dedication to quality delivered. It prides itself on an organic growth plummeted by word of mouth credentials and the unstinting support of its customers in the development of the organization. Annciya Estates have been synonymous with innovation in ideas, integrity in development, dedication to details, execution excellence and prompt deliveries. It has a range of offerings across flourishing geographies in Bangalore periphery and suburban city areas. 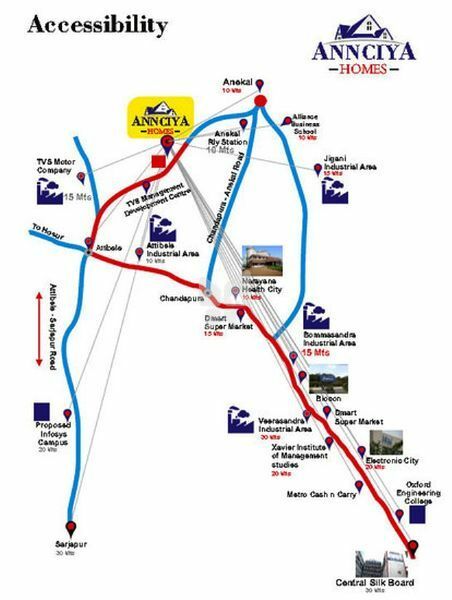 This vision driven organization thus, in a bid to promote value for all has reinvented itself; Annciya Estates is now driven by its core service of a new focused and unified offering of value plots only.